The AA's British Insurance Premium Index shows that over the last three months of 2010, car insurance premiums jumped by a further 6.4%: adding £51 to the cost that drivers typically pay for an annual comprehensive car insurance policy. Over the year premiums have risen by a third (33.2%), or £210, to £843. There is little sign of a let-up in car insurance premiums a further 6.4%, or £51, was added to the typical Shoparound* premium recorded by the AA's benchmark British Insurance Premium Index, during the fourth quarter of last year. Over 2010, the average Shoparound premium rose by a third (33.2%), from £633 in January 2010 meaning that, on average, drivers who shop around for their cover can still expect to find that their premiums have increased by around £210. Although comprehensive premiums have risen for everyone, young drivers have suffered the brunt of the increases: 17-22 year olds have seen premiums rise by 15.1% (more than 5% per month) and by 58.3% over the year, to £2,251. Simon Douglas, director of AA Insurance, says: "There has been no let-up in premium increases as insurers struggle against losses from 2009, when for every £100 taken in premiums, £123 was being paid out in claims. This has led to the biggest annual premium increases we have seen since the AA Index began in 1994." The sharp rises recorded by the Index prompted a House of Commons Transport Committee inquiry into the car insurance market. "MPs at the inquiry learned premium increases have been fuelled by fraud; injury claims; exaggeration of claims; organised 'cash for crash' scams; uninsured driving and poor investment returns because of the recession. "A sharp growth in the number of accident management and personal injury claim firms has helped to develop a hard-sell system in Britain that encourages people to claim, even if they have not suffered an injury," Mr Douglas says. According to the Association of British Insurers, there are 108 fraudulent motor insurance claims amounting to a combined value of £1.12million, detected every day which Mr Douglas believes is 'just the tip of the iceberg'. He adds that some estimates put the cost of fraud at £80 for every honestly bought car insurance policy. Honest John speculates that this might all be part of a complex but legal fraud perpetrated on the UK motoring public. Many Insurers are now owned by Private Equity Firms. If those Private Equity Firms also own the brokers who sell car insurance (via online brokerages, high street offices or price comparison sites), and if they also own the 'accident management specialists' which many brokers push policyholders into when they have a claim, then the Investors get three bites of the COMPULSORY car insurance cherry. They get the premium (on which they say they are losing £23 for every £100 taken). They get the commission, which typically amounts to 10% to 20%. And they also get the huge profits being generated from 'credit hire' cars into which no fault policyholders are put while their cars are being repaired. Typically, these 'credit hire' cars are charged at excessive premiums and the period of repair of the policyholder's car is extended as long as possible to increase the period of the hire. The other party's insurer is then faced with not only paying for the repair, but also the huge credit hire cost, of which we have seen examples rising to £33,000 v/s a repair cost to the damaged vehicle of less than £10,000. When these costs are paid by insurers, they result in losses to insurers that then must be recovered by increased insurance premiums on members of the public. So the public pays, not the insurers. But the profits from the credit hire may well go into the pockets of the same investors who own the insurers. That is what the House of Commons Select Committee should be investigating if it is serious about curbing the huge car insurance premium increase we all now face. Simon Douglas, director of AA Insurance, continued, "I hope that as a result of the inquiry, the Government is able to help the motor insurance industry stem haemorrhaging costs. Swiftly introducing the Jackson reform of rogue accident management firms and increasing police resources to help tackle insurance fraud would be welcomed," Mr Douglas says. He points out that for smaller claims, such a whiplash injury: for every £1 paid in compensation a disproportionate 87p is paid in legal costs**. On 11 January, Mike Penning MP, Under-Secretary of State, Department for Transport, told the Inquiry that from 1 April 2011, continuous insurance enforcement (CIE) would become law, while insurers should be given access to the DVLA database as part of the insurance application process, later this year. "Both measures are very welcome. They will help insurers start to get a grip on costs," Mr Douglas says. 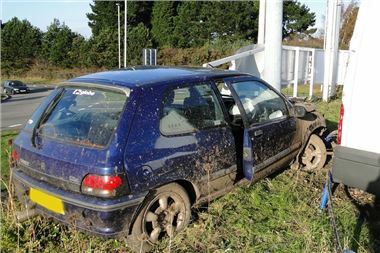 "CIE legislation will make it an offence to keep any vehicle that is either not insured or is subject to a Statutory Off Road Notice (SORN). Detection will be easy, combining the records of on both DVLA and Motor Insurance Database records and should sweep out hundreds of thousands of uninsured cars. "Access to DVLA database information will help to prevent 'economy with the truth' and identify innocent mistakes, although the provisions will be voluntary." Mr Douglas points out that some insurers have taken cost control to the extreme, by exiting the car insurance market altogether while others are becoming increasingly choosy in the risks they underwrite. "For example, more than half of insurers will no longer insure young drivers and many are also withdrawing TPFT cover. As a result, premiums for them have risen to a point where they are becoming unsustainable. "Although young male drivers are ten times more likely to have a car crash than older drivers, it is nevertheless important that the industry finds ways to help young people start their driving career safely, responsibly and affordably."